Are you still using a black and white TV with those finicky rabbit ears? An 8-track? A manual typewriter that dings at the end of each line? Highly unlikely! While still useable, such technology of the past pales in significance to the obvious benefits provided by the new and improved technology of today. The same principle applies to the appearance of your smile, including the process of straightening teeth. Unfortunately, crooked or misaligned teeth affect 74 percent of American adults. Years ago, the only unenviable choices available were to attempt to conceal your teeth when you smiled, or to sport metal braces for numerous years. Times have changed though. 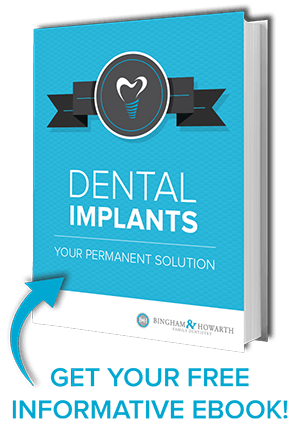 You no longer have to feel uncomfortable or self-conscious with the appearance of your teeth, detracting from who you really are. That’s right, holding your smile back is a thing of the past! Invisalign is metal-free, and is comprised of virtually invisible plastic aligners that are simply placed over your teeth much like a mouthguard. These BPA-free aligners are replaced every 2 weeks or so as your teeth are gently and perfectly aligned, without advertising to the world that you’re straightening your teeth. Invisalign has been clinically proven to be successful in treating most types of orthodontic cases, including those with complicated jaw movement requirements. 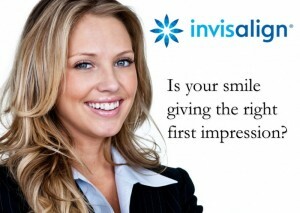 Invisalign aligners can be conveniently removed for brushing, flossing and eating. Invisalign costs about as much as traditional metal braces and is often covered under orthodontic insurance and Flexible Spending Accounts (FSA). The length of treatment depends on the complexity of your case. However, the average case takes less than 12 months. Some people are intimidated by the new technology of today because they don’t fully understand it. We never want you to feel that way when it comes to our high-tech dental solutions such as Invisalign. Feel free to contact us about any questions and concerns you have, or to book a consultation with us today. Straight teeth and a confident smile are well within your reach, thanks to Invisalign—your superior, clear alternative to braces. Enjoy the many modern conveniences of today with a gorgeous, picture-perfect smile that you can proudly share with others. Interested in learning more? Contact your dentist in Tulsa today!